Main Tenant : Queens Park F.C. Map showing the location of Hampden Park in Scotland. Then why is it the Stadium is the home of the Scotland team? A full house at a Scotland game is a fantastic atmosphere, then again I don't support Rangers or indeed Celtic. Awful, awful stadium. No atmosphere, the distance and level from the pitch behind the goals is appalling. There's only one 5 star stadium in Scotland and that's Ibrox Stadium. 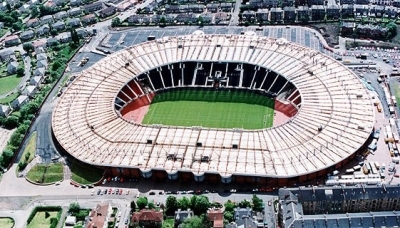 You have the ability to request en edit to any of the details of Hampden Park. You can do this by clicking on one of the options below.